LUCENA City - The gubernatorial derby in Que-zon is expected to be highly contested as the two leading candidates belong to the most prominent political families in the province. They are Quezon Reps. Vicente ‘Kulit’ Alcala and Danilo Suarez of the province’s second and third districts, respectively. Alcala, elder brother of former Agriculture Secretary Proceso Alcala, is the first candidate who filed his Certificate of Candidacy (CoC) for governor under the ticket of PDP-Laban. A former barangay captain, provincial board member and vice governor, Vi-cente is now in his second term as representative of the province’s most progressive district. Vicente and Proceso are sons of the late Provincial Board Member Hermilando Alcala Sr., the elder brother of the late Gov. Anacleto. The duo’s younger brother, Hermilando Jr., is a reelectionist provincial board member in the second district while their nephews, Roderick and Anacleto III, are incumbent mayor and councilor of Lucena City, respectively. Lucena and second district, the bailiwick of the Alcalas, are vote-richest areas in the province. Suarez, belonging to Lakas-CMD who is also the House Minority Leader, on the other hand, is the father of incumbent and “graduating” Gov. David ‘Jayjay’ Suarez. His wife, Aleta, is a former representative in his district for two times while David’s wife, Anna, is an incumbent representative, of Alona Party-list. David’s two brothers, Donaldo and Danilo Jr., are incumbent provincial board member and vice-mayor of their home town Unisan, respectively. David, who recently transferred his certificate of residency from Unisan to Tiaong town in the second district and now a candidate to the post to be vacated by Vicente. His leading opponent is Proceso, who had served as representative for two terms before he was appointed to Agriculture Department by then President Benigno Aquino. 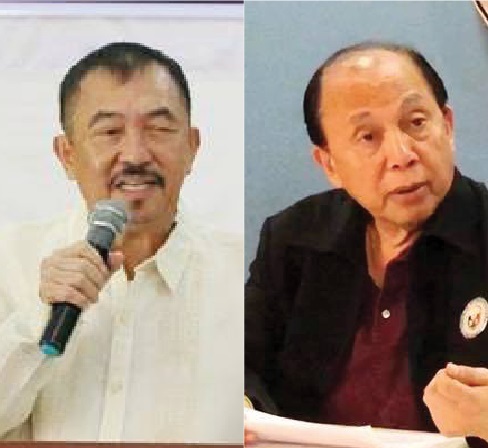 Other candidates vying for the gubernatorial post are former provincial BM Frumencio Pulgar, former Lucban Mayor Serafin Dator, former Padre Burgos Mayor Dominador Villena, Fatima Abuy and Juanito Suarez Jr. While in the second district, the two other candidates are former Sariaya Mayor Rosauro Masilang and Amadeo Suarez.